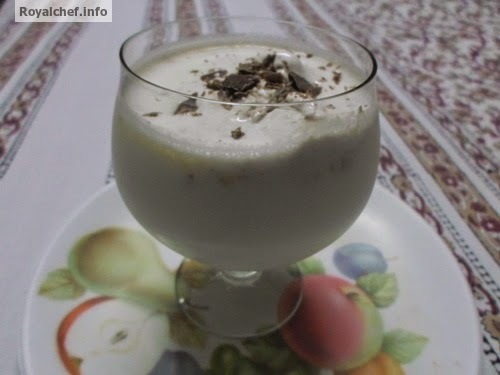 This is a most simple Recipe for preparing Fruit Juice Stall Style Banana Milk Shake with Vanilla flavor, a most simple and easy to make Milk Shake recipe. Take the Chilled Milk, Sugar, Banana and Vanilla Essence and blend all of them together in a juicer for a minute. Pour in to the Glass and add one-table spoon Vanilla Ice cream and the Chocolate pieces.